Have you ever stopped to consider what happens to pets during a natural disaster? Well The Quilt Pattern Magazine (TQPM) has a staff member who really takes saving pets in a disaster to heart and she is their Marketing Director, Nan Baker. Nan is the inspiration behind the Small Kennel Quilts Team. They invite quilters to make small quilts to send to an area in disaster. 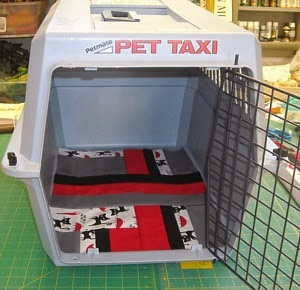 A small kennel quilt is such a quick, achievable project for any quilter that could really make a difference to a pet in need, and a great way to practice new piecing and quilting techniques. 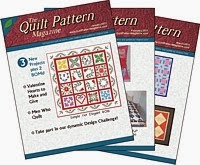 Click on TQPM Small Kennel Quilt Team to find out size suggestions, free patterns and more. When faced with the notion that some people think it's JUST a pet, Nan says, "When you care for pets in a natural disaster, you CARE for people." Congratulations Carli! 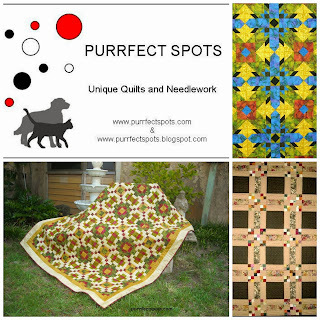 You have won, not just one, but THREE gorgeous pdf patterns by Nan Baker of Purrfect Spots. Here's a great collage of the 3 different patterns. Until next time, dream big and work hard in the studio with Canadian Quilt Talk!